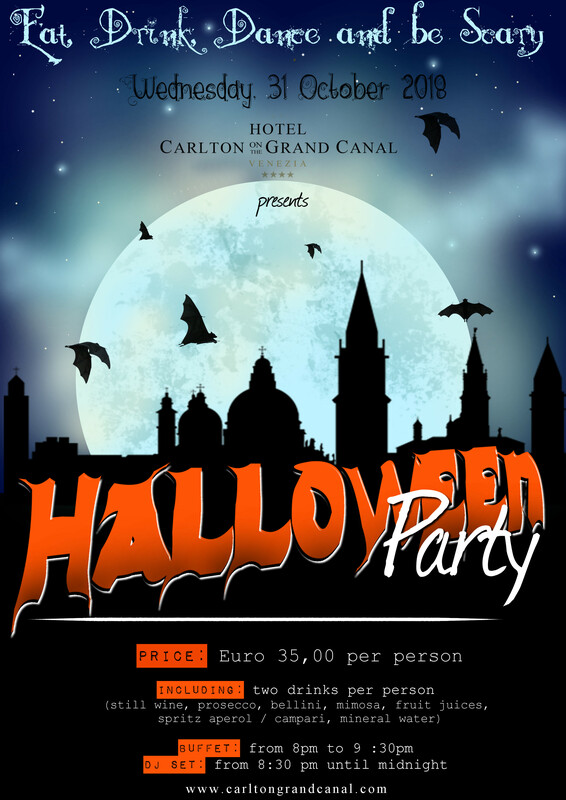 Get ready for a spooky night in Venice! Dance the deadly night away for a Halloween celebration to remember! We host a Halloween Party on Wednesday, October 31st 2018. A terrifyingly but tasty buffet including two aperitif drinks per person will be on offer from 8pm until 9:30pm. The DJ set will take place from 8:30pm with dancing until midnight. Feel free to come in costume, if you wish!